In Spring 2017 artist Zoe Benbow and poet Sarah Corbett spent several weeks in residence at The Wordsworth Trust in Grasmere. Their brief was to walk in the footsteps of Dorothy Wordsworth, following pathways Dorothy described in her ‘Grasmere Journals’ over two hundred years ago. The landscapes Dorothy experienced, and the rich interior life evident in her journals, have inspired a new poem sequence by Sarah Corbett and an original series of drawings and paintings by Zoe Benbow. 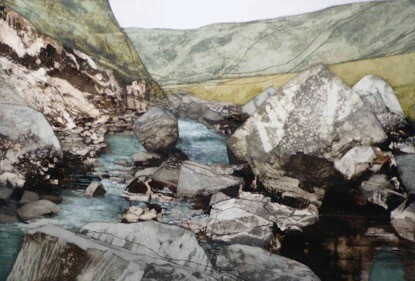 Dorothy’s Colour presents a conversation between painting, drawing and poetry, and considers what it is to be a woman walking, writing and creating in the landscape. Join us for an Evening with the Artists on Wednesday 22 November, from 6pm.